Once, there lived a man. 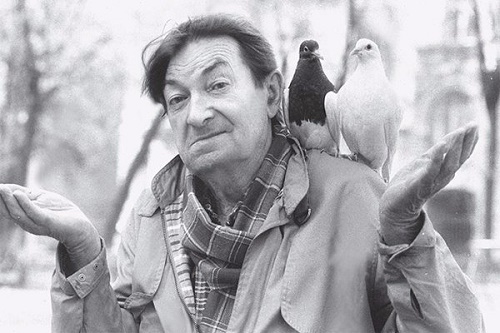 Some called him a saint, others – a hermit and eccentric, or just a fool … Every morning to the door of his house on Arbat street flew a large flock of pigeons. And stray dogs, happily wagging their tails ran toward, and the homeless, with whom Moscow was rich in the 1990s. And all of them were waiting for a very modest and inconspicuous elderly man in a shabby jacket, cap, almost pulled down over his eyes … He did not like, when somebody recognized him! 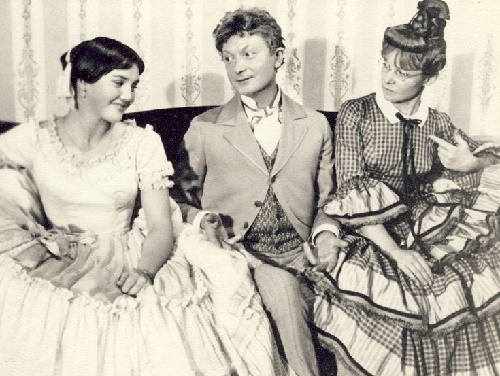 And for everyone he found not only a good word, but also a treat: he fed the birds with bread, dogs – with sausages and bones, and homeless – with bread, sausages, and a little money … This angel was famous Russian actor Georgy Vitsin. However, people appreciated not so much gifts as a genuine concern of the famous artist of those who fell on the same “bottom” due to life circumstances. He fed homeless pets – former “friends of man”, of which in large quantities Russians got rid, suddenly become poor after the predatory economic reforms of 1990s. And Vitsin chose for himself a mission – to help these poor, abandoned creatures, although he barely made ends meet: he lived on a meager pension in a small apartment, with a kitchen of four square meters … Black-and-white TV, not working shower, and instead of curtains on the windows – bags out of sugar … In addition to poverty – the sick, recumbent wife. Millions of viewers adored his movie roles. His jokes, spoken from the screen, have become a real classic of Soviet humor. After all, to imagine a comedy of those years without this ridiculously skinny guy was impossible. 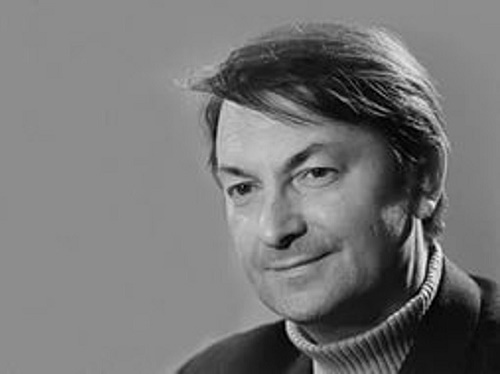 22 October 2001 the actor passed away. However, his images and roles still make the hearts of millions of fans beat a little faster. We remember him. The actor died in a Moscow hospital because of chronic diseases of the heart and liver. 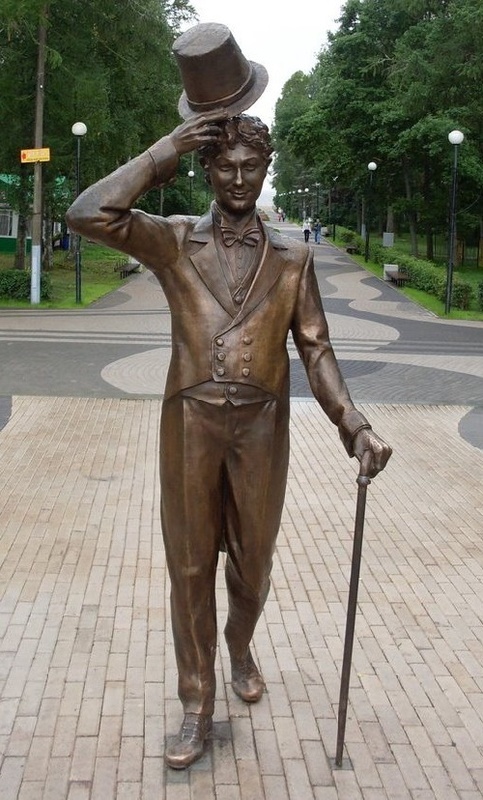 The tomb of the legendary comedian is on Vagankovsky cemetery in Moscow. 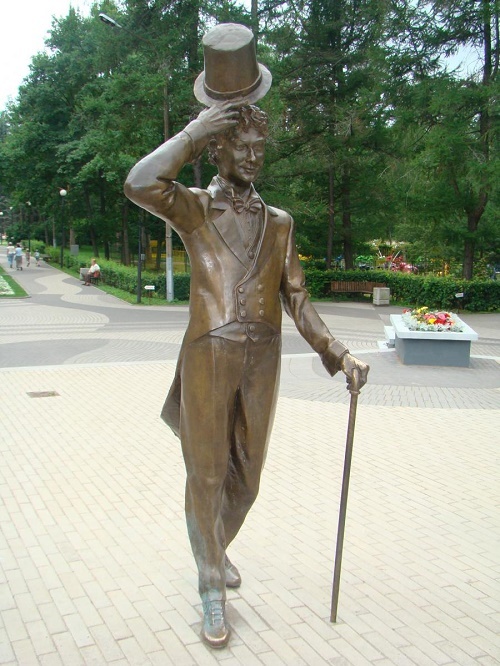 After the death of the actor, in one of the parks of Zelenogorsk appeared a monument in his honor. The sculpture depicts him as Mikhail Balzaminov.